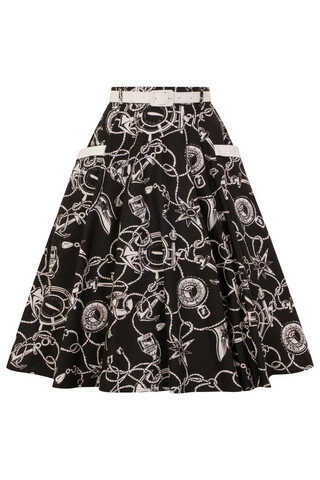 Printed 50’s skirt with contrast belt and pockets. Print is of compasses, ropes and anchors on a black background. Skirt comes with a belt covered with ivory coloured fabric. Two pockets at the front with ivory pocket flaps.